I am on a roll working toward finishing my whole cloth quilt. Sorry if this gets old but I’m pretty much only working in it until I finish. Here are some pictures of it today. you can see the areas that still need more quilting. I took a few pictures of the back, but the fabric makes it very difficult to get a good picture. Anyway click the pictures to enlarge. So now for something new. I recently got a new vintage/antique quilt top. This bear paw top was made by 2 different people. If you look at it you can see there are 2 different white fabrics used in the sashing and 2 different pink fabrics in some of the blocks on the left. The whiter white and lighter pink are much newer so at some point someone tried to finish the top that was started years before. Love your quilting. Also love the bear paw. Any date or history of where it came from? AQS might as well save you the trouble of entering the whole cloth quilt and just send the ribbon to you right now. LOL! The bear paw pattern is a great design for some interesting quilting, can’t wait to see what you do with it! LOL….hope the ags judges red this! Your whole cloth quilt is absolutely spectacular! If you do trunk shows, I would love to coordinate a trip to Mich to see one. I do…..I will be putting up a schedule soon……I need to get organized! DON’T apologize– it’s never “old” to see great quilting (not to mention your adorable quilt inspector!!). always look forward to seeing your progress – your work is such an inspiration! Your wholecloth quilt is incredible! You have done a tremendous amount of work and it shows. :) Great bear paw quilt too. Love the colors. I hope to get that restored some time soon,,,it should not be too much work I hope…it is all hand stitches and that is easy stitching to remove…..
Third times a charm, glad that new top finally got to you, it now has a good chance at getting finished! Hi, Tim! Your work is exquisite. I am going to be quilting a whole-cloth quilt soon – a commercially marked one, I haven’t your artistic talent! I am curious about why you quilt a large grid and then came back and quilt the smaller grid. Is there a specific reason? And do you baste your quilt sandwich before quilting? 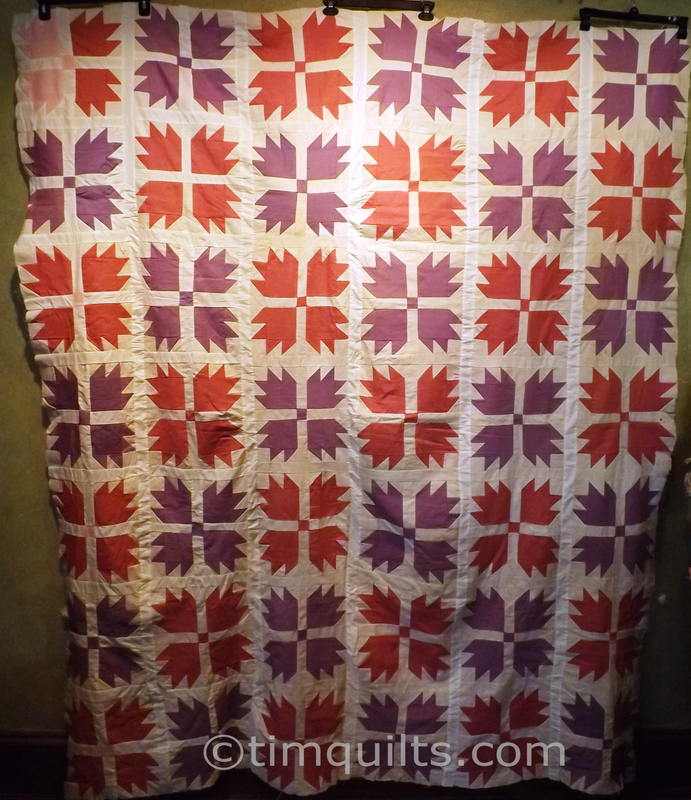 Tim you quilting is exquisite …….I love the whole cloth. Absolutely gorgeous. Looking forward to seeing the journey of the bear paw. Have a great day! Thanks Marie! you have a great day too! Great Bear Paw — two paws up for that. I also like the corduroy as your background. Im looking forward to working on that bear paw!